(MoneyWatch) What lavish features do the richest homebuyers want in a house these days? Outdoor kitchens, warming drawers and homes controlled with the touch of an iPad. Indeed, luxury buyers are abandoning mega-mansions for smaller homes with cutting-edge technologies and the latest-and-greatest creature comforts. Nearly 90 percent of these homebuyers wouldn't even consider living in a home that isn't tech-friendly, according to a new survey by national real estate chain Better Homes and Gardens Real Estate. That goes well beyond a home being Internet- and cable-ready. 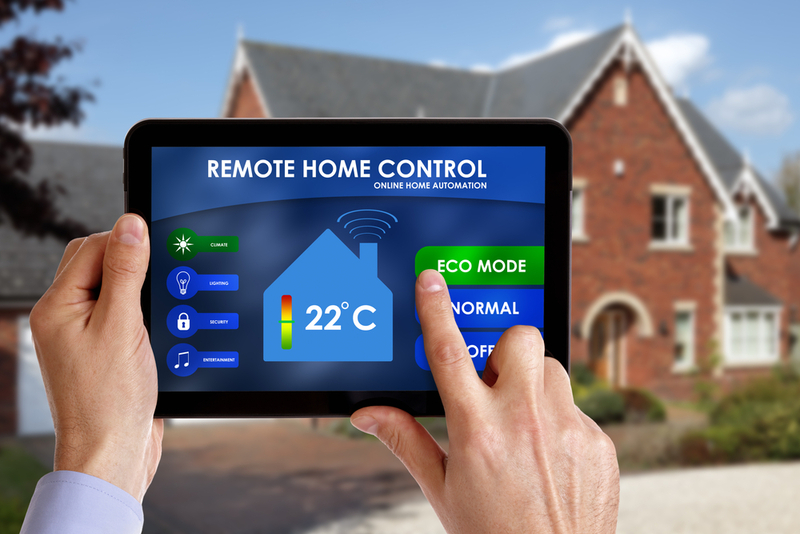 Rather, these buyers want the ability to manage their homes remotely, including controlling the climate, lighting, garage or security systems through their mobile devices. For many, keyless entry also essential. Of course, everyone wants a spacious, functional kitchen. But luxury buyers want one that's outside: Nearly half said they wanted an outdoor kitchen, according to a National Association of Home Builders survey, which asked people looking at homes priced above $500,000 what they want in a property. Fifty percent also want an outdoor fireplace or fire pit, according to Better Homes and Gardens, as well as a climate-controlled wine cooler and a warming drawer. The latter is a specialty appliance that keeps food warm after it's done cooking, but that isn't ready to eat. But while 42 percent of high-end buyers desire a wet bar, which comes with a sink for mixing drinks, wine cellars are less in demand. Meanwhile, nearly half said they want an exercise room. Many wealthy buyers are willing to downsize to get these features, a new development in the world of luxury real estate. "The last generation of luxury homeowners, for the most part, it was all about size -- 'My home is bigger than yours,' " said Sherry Chris, CEO of Better Homes and Gardens Real Estate. "Today it's all about what's inside." Most luxury homebuyers would also be willing to give up 1,000 square feet of living space from their next home in exchange for living in a better neighborhood and living in a house with character. Other features that people are looking for include more land, access to dining and entertainment, and a shorter commute. Chris thinks that luxury buyers' preferences for smaller, more tech-friendly, personalized homes may catch on, noting that these consumers are considered trend setters in most industries.